The second film of the franchise Fantastic Beasts hits the cinemas on November 16. Just like the first one, The Crimes of Grindelwald prepares the ground for events yet to come and leaves a lot of open-ended questions that may directly influence the future of the story. ATTENTION: This list has spoilers. 1. Is Credence’s phoenix real? The Crimes of Grindelwald shows that the Dumbledore family has a special bound with phoenixes. A phoenix is always ready to help a Dumbledore in trouble. In the films, Credence takes cares of a baby bird and later we found out it is a phoenix. Did the bird come to Credence on its own or is Gellert Grindelwald manipulating it to give credibility to Aurelius Dumbledore’s story? 2. Who is Aurelius Dumbledore? Grindelwald reveals to Credence that his real name is Aurelius Dumbledore and says to the young man that his brother wants to destroy him. He sustains the story with the argumentation that the Dumbledore family has a special bond with phoenixes, and Credence seems to believe in it, as in the last days, he was followed by one. But where does Aurelius stand on the family tree from Aberforth, Albus, and Ariana? According to Ezra Miller, Aurelius was born in 1909. Kendra Dumbledore, Albus’s mother, died in 1899, and his father, Percival, was arrested and died in Azkaban. As Grindelwald spent so much time with Albus, he knows the Dumbledore enough to create a fictional member of the family and deceive Credence. Therefore, a question pops up: Is Aurelius real? Could he be Albus Dumbledore’s cousin? In this case, who is his brother and why would he want to destroy him? 3. How does the blood pact work? When Dumbledore and Grindelwald were young, they made a blood pact that, despite resembling the unbreakable vow, has its particularities. However, the consequences of this pact are not explained in the film. What is its limit? In an unbreakable vow, the person who promises to do something dies if he/she does not fulfill the promise, what happens with the person who breaks a blood pact? And what is the importance that the physical representation of this pact has? 4. How relevant is Nagini? In spite of being in the spotlight in the last trailer, Nagini barely appears in the film. The actress Claudia Kim does not say a word during the whole movie. What will be her role in the next three movies? 5. Does Nicolas Flamel know more than he shows? Flamel is the only one who knows how to put an end on Grindelwald’s spell before the whole Paris gets destroyed. But how? More than 600 years of life certainly gives the alchemist extra and advanced knowledge in magic, but the wizard seems to know much more than he shows. More than that, the alchemist seems to have a direct connection with professor Eulalie Hicks, from Ilvermorny School of Witchcraft and Wizardry. But why? The witch, who according to J.K. Rowling will be in the third movie, also says that “they trust in Flamel”. But who would “they” be? 6. 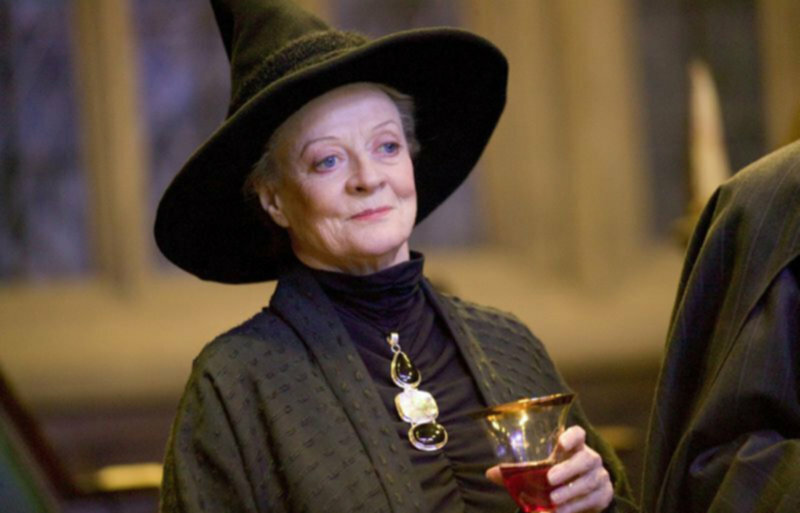 How is Minerva McGonagall in the movie? In the book Harry Potter and the Order of the Phoenix, which takes place in 1995, it is revealed that Professor McGonagall has taught in Hogwarts for 39 years. Considering the professor’s biography on Pottermore, it is concluded that she was born in 1935, almost 10 years after the two first Fantastic Beasts films. However, the character – called only by her last name on the scene, but credited by Warner Bros. by both names – appears in the present time, 1927, and in a flashback when Leta Lestrange and Newt Scamander are still students, in the middle of 1900. At that time, Albus Dumbledore taught Defense Against Dark Arts and hadn’t become the Transfiguration teacher yet, position that Minerva would occupy only when he became the Head Master. It is now the question if the professor’s presence in The Crimes of Grindelwald is a chronological mistake or if there is something more. After finding out Newt was supposedly engaged to Leta Lestrange, Tina seems to abandon her love interest for the magizoologist and starts a relationship with an Auror called Aquilles Tolliver. But who is Aquiles? Will he have any future purpose on the plot or will he only be an irrelevant character who will not be reminded.